Buying wheelchair vans from home with our online sales opportunity allows our customers to stay home in Yuma, Arizona while tending to daily tasks. 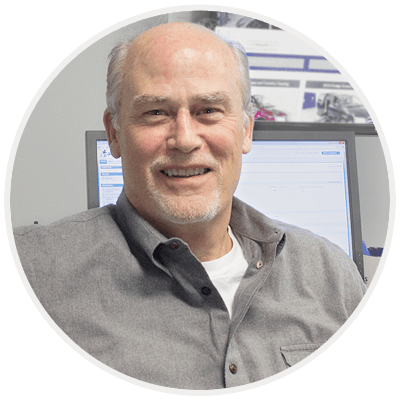 By working in tandem with a mobility consultant, your sales experience is customized around your availability, using the phone and Internet. 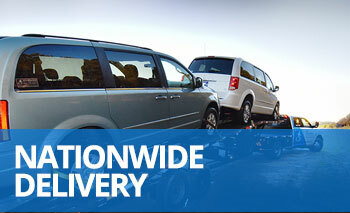 Once you've made the choice for your handicap van, we can deliver it right to your home or office in Yuma, Arizona. Drive & Fly: One of our mobility professionals will drive your handicap van to anywhere in Yuma, Arizona, and then, fly home. Truck & Trailer: As an alternative to having your wheelchair van driven across the country, choose to have it hauled on a trailer to your home or office in Yuma, AZ. Customer Pick-Up: For those who would rather pick up their adapted vans in person, we invite you to visit our office in Atlanta, GA. Meet the people behind the scenes who made your accessible van possible and take a tour of our facility. When traveling from Yuma, Arizona, customers normally qualify for a pick-up discount that comes off the purchase price. During our "White Glove Service", a mobility professional to train you on the operation of all features on your wheelchair van. In addition to a detailed demonstration of the factory and adaptive equipment, we'll give you some safety tips, and answer any questions you have. At the time of delivery, every customer has the option to refuse the sale if not 100% satisfied. With no aggressive sales pitches, we'll cancel the sale and forward a refund of your payment to you if you reject the van upon delivery. Optionally, for a third opinion, we are happy to meet you at a mechanic in Yuma, AZ and wait while they review the condition of your wheelchair van. All of our certified used wheelchair vans pass a 134-point inspection before being added to our inventory. Our national service and maintenance network speaks to the quality and continued reliability of your handicapped van. Call a mobility consultant at 800-775-VANS (8267) to learn more about our high-quality wheelchair vans. While we have you on the line, we'll gather your accessibility needs and refer you to some handicap vans for sale in our inventory for a closer look. Once you choose one to purchase, we'll take it from there while you stay home in Yuma, Arizona. We've had the privilege to bring affordable accessible transportation to customers all over the United States, and we look forward to delivering a new or used handicapped van to you in Yuma, Arizona soon!